Companies in the Aerospace industry have to cope with a steady increase in the complexity of avionics software. In parallel they must deal with strict quality standards and processes and high cost and time pressure. In the testing area tools are required that are able to integrate in the process and support it as good as possible. The tools must be able to support long lasting development and maintenance periods. During this long time they must also be flexible enough to adapt to changes. Test engineers under time pressure must be able to create test setups quickly to meet deadlines and reduce the overall testing times. 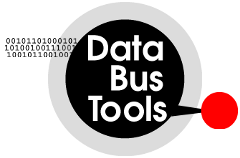 It is Data Bus Tools mission to help you in this issue. We produce data bus and flight test tools that have a flexible, modular architecture and rely on stable industry standards that can be expected to outlast other standards for a long time. The tools integrate with other tools that are used in the industry and offer a quick learning curve since the user interface will be known from existing tools. Our main product and base for customization is FLIDAS - Flight Data Studio. It deals with digital flight recordings in the IRIG 106 Chapter 10 standard and is also available in a free version. To best suit your company's processes we offer to adapt our standard software to your individual requirements.